Agile Cigar Reviews replace what we termed “Assessment Updates”. The concept is the same, but the name is different. Agile Cigar Reviews use a lightweight, shorter format. These will never take the place of our comprehensive reviews. They are only used on blends we have previously assessed. This might be a blend we are re-scoring or providing a score for a first time. It might be a blend we are looking at in a different size. 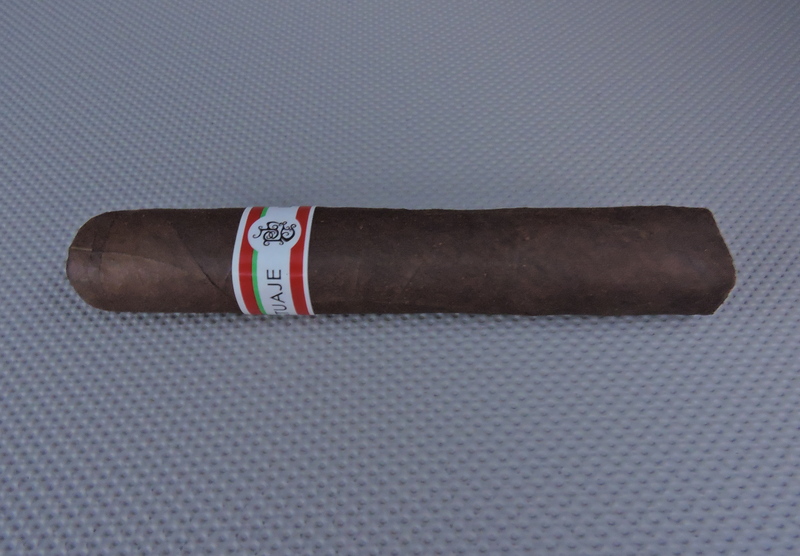 Today we look at the Tatuaje Mexican Experiment Robusto. This is a cigar we previously assessed back in June, 2012. In 2012, Tatuaje Cigars released a limited production cigar called the Tatuaje Mexican Experiment. As the name indicates the cigar is highlighted by a Mexican San Andres wrapper. The “Experiment” part is appropriate because this was a wrapper that owner Pete Johnson had not worked with much prior to this limited release (he did use it on the 2010 Monster Series – The Face). The Tatuaje Mexican Experiment was a one time production run. Today, we take a closer look at this cigar in the box-pressed Robusto format. This is a cigar that has been aging in the Cigar Coop humidor for about 46 months (just under 4 years). For the Tatuaje Mexican Experiment, the cigar became a geographic release. The box-pressed robusto was primarily made available to retailers in the State of Florida. There also was a box-pressed Toro that was made primarily to retailers in New England. A third and much more limited size, Mexican Experiment Belicoso was made available to select retailers. In addition to the San Andres Mexican wrapper, the cigar also has a Nicaraguan binder and filler. Flavor-wise, the Tatuaje Mexican Experiment delivers notes of coffee, earth, mixed pepper, and some grass notes in the background. One thing I noticed with this cigar is I get some of the “chock full o nuts” coffee flavor in the first half. This is a robust coffee note that sometimes you get when coffee sits in an urn for some time. The second half sees an increase in the spice, but it never gets overwhelming. As for the flavors, they have mellowed since the 2012 release. What was used to be a medium to full strength and body release is now more of a classic medium. Overall, this cigar probably has achieved some level of cult status. While I wouldn’t call it the greatest San Andres released cigar I have had, it still was one that was satisfying. If you can track these down, they definitely are worthy of picking up a fiver. I see them up for sale on OLH but you will pay a LOT more than the $8 msrp…I’ve seen them running $15 per single. I still got a couple of these left, I wouldn’t let go of them for 15 either, I don’t think I’d let go of them period, but I do need to smoke one soon. I have been thinking of whether to try them out or not, there seems to be some confusion about the price. Where can I find the cheapest price? The pricing of the cigar is based on what we paid on it in 2012. As I mentioned, this was a cigar that aging in the humidor since then. As for “what this cigar might go for”, it’s just too hard to say – although I really see the point everyone is making. I’m updating this review to have an asterisk to note this was 2012 pricing. Typically we do like to stay away from “hard to find” cigars when doing the Agile reviews, however this cigar was something a lot of people liked and thought there would be interest. Just finished one of these bad boys and it was awesome. You really let it sit in your humidor for 4 years! ?